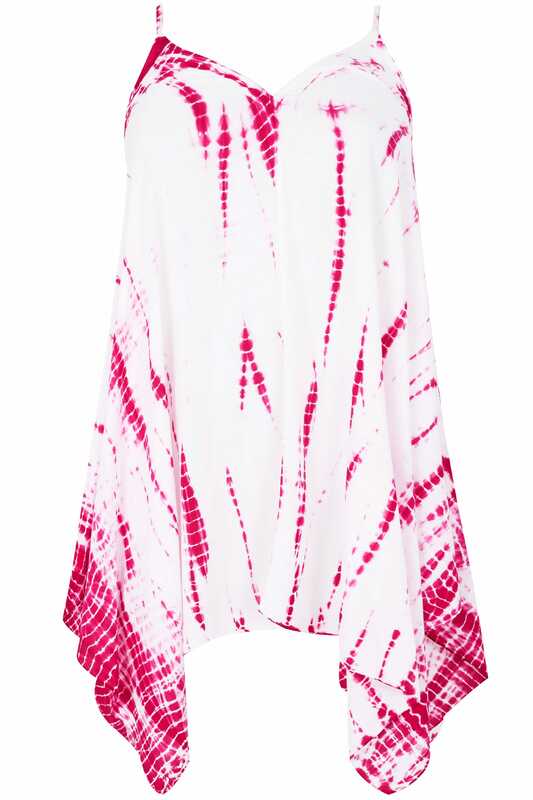 Add a pop of colour to your everyday wardrobe with this bold vest top. Lightweight and comfortable, it features an asymmetrical hanky hem and adjustable straps for a perfect fit. Team with denim and sandals for a go-to look on those warmer days. 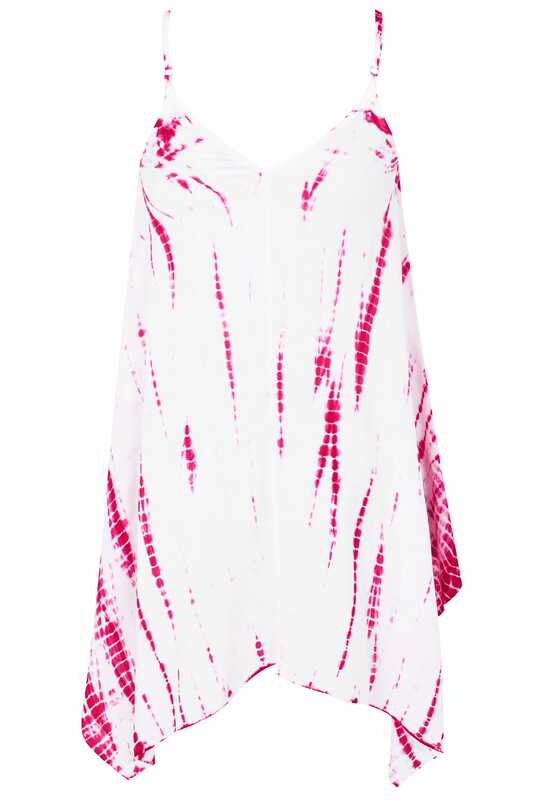 We love the dip dye print in a bold pink hue.